What is a Creative Management Platform (CMP)? Creative Management Platforms are a class of programmatic creative ad technologies that meet the design needs of modern digital advertisers who are looking to tailor, test and optimize the creatives in their campaigns. The core use of a CMP is ad design and production at scale. To tailor an ad’s messaging to its audience, for each segment, a different creative must be produced or generated. CMPs use a combination of manual and automated features to amplify the creative output of a team dramatically. 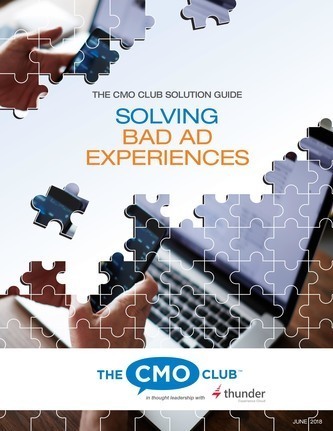 What benefits do advertisers get from Creative Management Platforms? 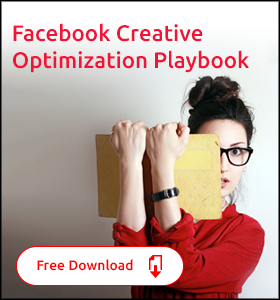 Once you remove the high costs and lengthy turnaround time of building ads, these optimization methods become accessible to advertising teams, unleashing numerous new tactics and strategies for using creative to drive performance for a campaign. Creative management platforms can also have built in programmatic optimizations that help with image handling, file load size, and minimizing animation code. Heavier file load sizes have been shown to correlate with poor viewability, so these behind-the-scenes optimizations can have a direct impact on performance too. Are CMPs only for display advertising? Thunder Creative Management Platform is the only CMP that allows creative versioning for Facebook Ads in addition to display and banner advertising. All other Creative Management Platforms on the market only work for display advertising such as banners and rich media for mobile and desktop. If you use a DMP or DSP, should you invest in a CMP? Today a sophisticated advertiser’s ad tech stack will typically include a Data Management Platform (DMP) and a Demand Side Platform (DSP). These technologies optimize how media is purchased, and make sure that ads are getting in front of the right people. They also provide a host of targeting and testing capabilities which can be made to work even harder if the CMP has some of these essential creative management platform features. Creative is well understood to be one of the most significant drivers of performance for an ad campaign. 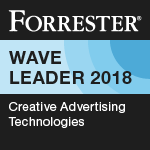 Yet over 90% of campaigns use a generalized or generic creative — one that isn’t matched to its audience — according to an internal study by AppNexus. That means that the $6+ billion being spent on data and optimization tech like DMPs and DSPs isn’t being fully activated by the creative. CMPs close this gap by enabling advertisers to replace the generic ads with tailored ads that match audience segments in the DMP, and where each creative is optimized by the DSP. Despite all the acronyms, this trio of technologies — the DMP, DSP and CMP — generate a phenomenal amount of synergy and each platform helps maximize the ROI of the others. Who uses a Creative Management Platform? Creative Management Platforms have the potential to touch many teams. From a creative strategy point of view, CMPs unlock many possible new tactics that would otherwise be cost-prohibitive, so their use often begins at the creative level. Creative teams will often create a matrix that shows how they will vary the ads by audience, and the contents of that spreadsheet serves as a guideline for producers. Then when mocking up the ad units, consideration should be given to what elements will change when creating variations from each base ad. CMPs remove a significant amount of production work for expansive campaigns because you’re no longer building ads one unit at a time. In this regard, they are most often utilized by ad producers or creative teams, if production falls there. Use of a CMP goes hand-in-hand with a media optimization strategy that involves creative factors, so while many media teams won’t do the actual work in a CMP, they will enjoy the benefits by making the best use of their DSP and DMP data and carefully constructed media plans. Some media teams are involved, however, and make simple edits like swapping out content in order to keep ads fresh and make them more impactful to their audience. Like media teams, marketing teams around the globe sometimes work in tandem with their creative and media counterparts on CMPs as well. The workflow here is typically that a base creative template is put together by a creative agency. Once that template is implemented into the CMP, the marketing teams for different business units or in different regions can create new versions of the ads, in different languages, for example. What is a Creative Planner and why is the role important? Now that the barriers to creative production at scale have been unlocked, there is an emerging new role to organize the process and drive results: the creative planner. Creative planners are the right hand to media planners. Media planning is focused on targeting the right audiences on the right channels at a good value. Creative planning’s goal is to make sure the message in front of those audiences is the most impactful. The limiting factor in using a Creative Management Platform to its fullest tends to be workflow and planning related, and so it’s generally a good idea to assign someone to the role of creative planner. Creative planner doesn’t always need to be someone’s job title, but it is an important responsibility. This person can work with teams on both the creative and media sides to make sure messaging is lining up properly with media, and that tests are being run to optimize performance further. Read more about this role on CMO.com. 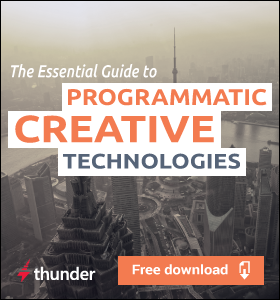 Creative management platform (CMP) vs dynamic creative optimization (DCO) – How are these programmatic technologies different? CMPs are often compared to dynamic creative optimization technologies, or DCOs. Both are avenues to create a large number of creatives, but CMPs offer customization capabilities far beyond what a traditional dynamic creative can do. 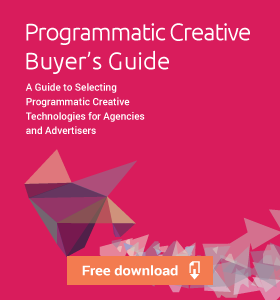 Like DCOs, CMPs are purpose-built for the needs of a programmatic advertiser. Both of these technologies fall under the programmatic creative umbrella. Here are some of the significant differences between CMPs and DCOs. Single channel: DCO only works in display, where publishers allow outside systems to make real-time decisions on what to do on their sites. DCOs are not able to penetrate the walled gardens of social advertising where the ads are controlled by the social network’s own ad tech. Code-free: CMPs let you build all the visual components of the creative and then load that into a targeting system for someone to then tie the creative to the right targeting without any coding required. Code-heavy: Setting up DCO requires coding to tie data feeds to element fields in the ad unit. Decision logic within the DCO unit itself must be programmed so it knows what to do with the data it is receiving. Approval: With a CMP, a human builds the creative using machine assistance and is able to preview and review all the versions of the ad. No approval: DCO relies on approval on a template basis. After testing, there is an assumption that proper data feed setup and decisioning tree logic will render the correct relevant and brand-friendly ad. Deterministic: CMPs use human inputs combined with machine assistance for scale to produce many pre-approved messages that can be targeted to audience segments. Every creative is built in advance of the campaign going live. Probabilistic: DCO uses formulas and interchangeable variables to produce ads that are assembled in real-time based on a programmable formula. When multiple variables are involved, there is generally no way to preview and see all possible combinations of messages in advance, and therefore to know exactly what ads will be out there. See this article in MarketingLand for more information on the differences between DCO and CMPs. Can CMPs be used outside of programmatic? Creative Management Platforms also work well in conjunction with non-programmatic media for generating creatives to split test, and for tailoring the ad content to the specific publisher or segments being targeted. The method of purchasing the media is not important. As long as there are meaningful audiences to tailor, refresh, and test creatives with, a CMP can be leveraged.